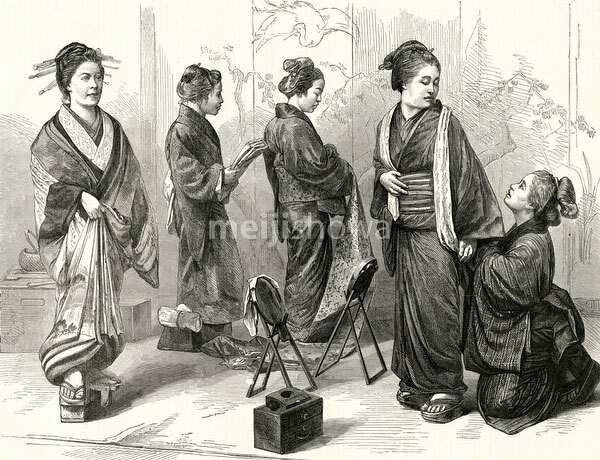 A fanciful image of Japanese women in kimono. The artist had them wear footwear inside, and added a tayuu (courtesan) for good measure. Published in the British weekly illustrated newspaper The Graphic on September 16, 1871(Meiji 4).